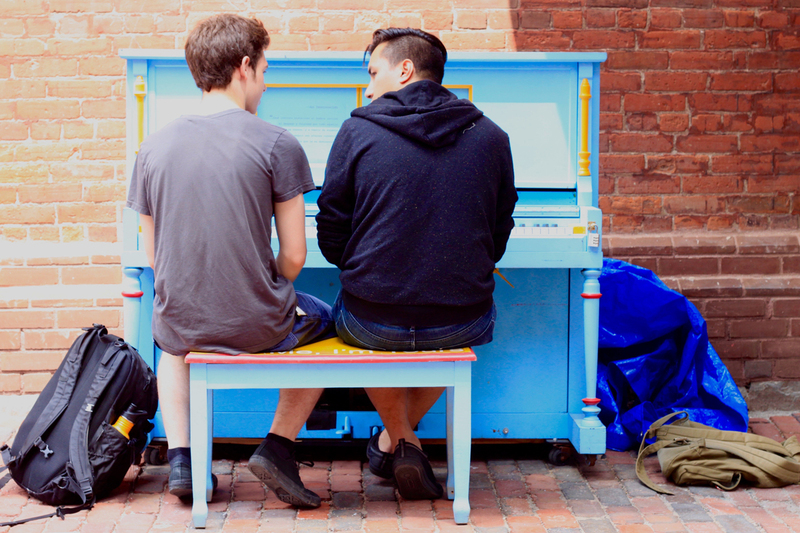 Soulpepper’s City Youth Academy is a six-week intensive summer training program for promising young artists in Toronto ages 16-19. 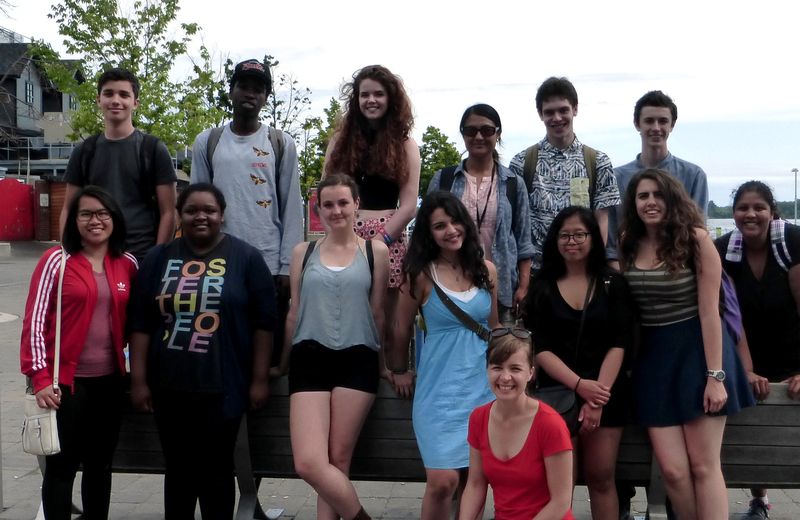 Ten youth this summer will be given six weeks of skills training and artistic development as integrated members of the Soulpepper company. Participants Tatyana Mitchell and Nick Eddie share their thoughts on the experience so far. What are your personal artistic areas of interest? Tatyana: My areas of interest include acting and set designing. Nick: I have been very interested in theatre arts for a long time. It was only after many years of my grandparents dragging me to plays before I realized I actually enjoyed it. I personally, enjoy acting the most, but am more than content to participate in the THEEAHTER in any way, shape, or form. What expectations did you have coming into the City Youth Academy, and how has the program differed or met them? Tatyana: I didn’t think there were going to be so many activities jam packed into 6 weeks. Before my audition I was still unsure of what exactly we’d be doing. However, when we started, I was kind of overwhelmed. In a good way. I was surprised by how much we were doing. What is your group currently working on? Nick: I am always surprised by how much work a theatrical production is. So far we have mostly done work with strengthening the ensemble; learning new things, working as a team, etc. And then occasionally we will have time dedicated to creating pieces, which is mixed in outcome, as it always is with collective work. Hopefully by the time we are done we will have enough material to pick and choose all the best stuff, but honestly it is just so nice being involved in creation work again. What activity/workshop/moment has really excited and inspired you so far? Tatyana: A workshop that has excited me so far is music. I don’t sing in public unless it’s required, and now singing solos and being surrounded by people who enjoy singing has helped me cope with my nerves. Other workshops that have inspired me are Text and Design; Text has helped me look at scripts and characters more in depth. I was able to create a background, how my character would interact with the people she surrounds herself with, and I have learned not to judge my character no matter how troubled they are. And although Design was one session, I still learned how creative you can get with a setting that is not just three walls, a table, and a chair. Nick: Working with Greg Oh has been one of the most gruelling processes I have had the pleasure to experience. We’ve been working on a song with four harmonies, and every note is a battle. Learning with him takes so much dedication and focus. And Greg makes it easy. I wouldn’t want to have a bad teacher when it comes to something like this. 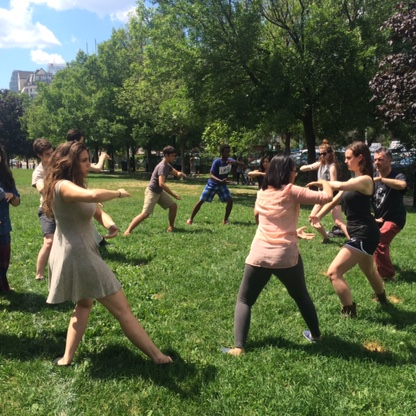 How do you see the City Youth Academy affecting your future artistic journey? 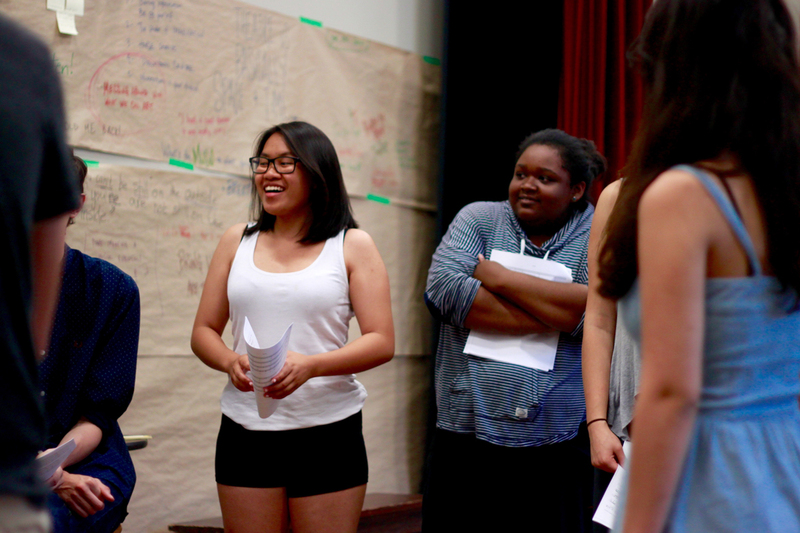 Tatyana: I’m going to Humber College in September for Theatre Performance and I’m treating the program as if it’s pre-training, before I head there for the next three years. Movement and Text are helping me be the most prepared for what’s to come. So I’m grateful. Nick: Well, I hope to stay connected with Soulpepper in any way I can. I constantly have to remind myself that I need to use every moment of this great opportunity, not just those in workshops and activities. So this time, I have been making a concerted effort to meet people, and to prove my worth. But damn it, it’s hard. Anyway, that’s my goal, to become an active member in the Soulpepper community. Visit soulpepper.ca for more information. The Soulpepper City Youth Academy is generously supported by Scotiabank with additional support from R. Howard Webster Foundation. 2015 City Youth Academy participants and staff, photos supplied by Jennifer Villaverde and Fiona Suliman.